Hate getting robbed? Love solving mysteries? Installing a security camera might seem like an obvious answer, but only 3 out of 10 homes have any sort of security device set up. 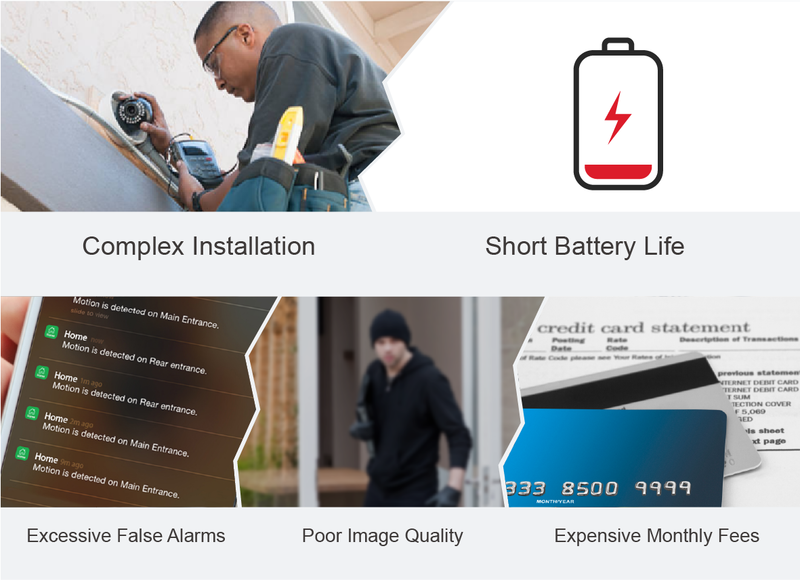 And, as basic as a security camera system might seem, you’ll be surprised to know that many cameras on the market present more problems than solutions. 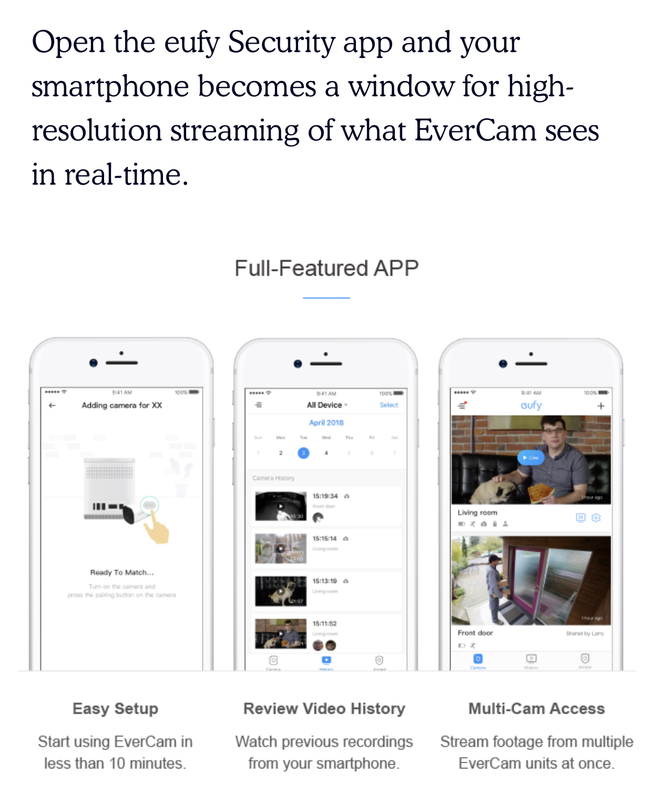 Now eufy EverCam provides you ONE SOLUTION that cures all headaches! 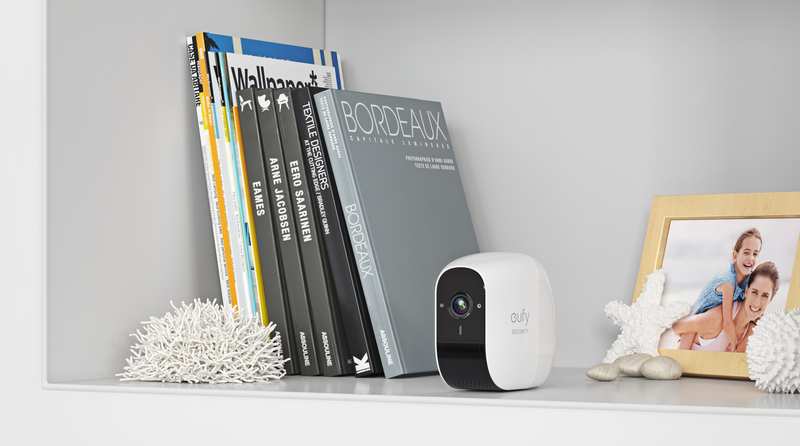 Infused with Anker’s cutting-edge battery technology, eufy EverCam is built from the ground up to offer the best of all worlds: 365-day battery life, easy installation, face recognition, totally wire-free, weatherproof and many other awesome features! Act fast! Demand is bigger than we expected, and the discounts are flying off the shelf. Any chance there is a discount for paying for subscription in full (yearly rate for example) rather than 3$ monthly costs? While there is local storage, can that be viewed in the app without the subscription? (edit/delete as well)? I got the email for this when I woke up this morning. I'm very intrigued and it's definitely peaked my interest. Two things I would want is that it came in Black (stealthy) and that it was smaller. This would be a great upgrade from my AnkerCam. I do love the fact that it IS wireless and has a very long battery life. 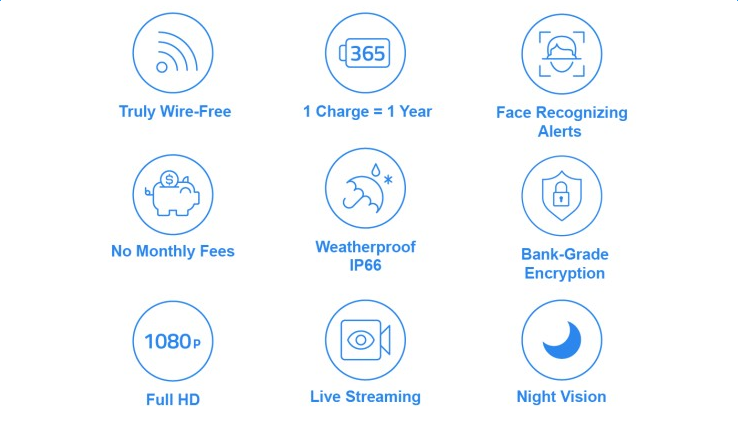 From what I read and saw on the video there is no monthly fee, everything is stored locally as it all should be on a SD card to avoid cloud services and monthly fees. You can store locally and pay for online back ups too. Absolutely smashing their targets. Really wish I could join in. I would definitely want HomeKit support though. I know they’ve said they’re working on it too. While there is local storage, can that be viewed in the app without the subscription? Cloud storage costs $3/month if you choose to go that route. Also, any potentially IFTTT integration? Stretch goal has been reached, so yes there will be IFTTT integration. A smaller version is in the works. That doesn't really answer the question, does usage of the app require the paid subscription or will local storage be retrievable in the app without having to pay? That makes huge difference in terms of functionality of the product as a standalone offering. No, you can use the app regardless of whether you are paying for cloud storage. Looks like Anker wants to keep Micro USB around for much, much longer. what stops the camera being stolen? But local storage will not be retrievable in the app... you'll have to use the card. I believe locally stored videos are viewable etc in the app but the cloud storage allows for a back up so you can clear down the card for more recordings. I really want to invest in this project but I have to put a new roof on my house so I don't have the kind of money Eufy wants us to invest in. Hopefully they will be sending out samples to test in the future. I would love to know if this will work for our needs. You can catch the super early bird discount!